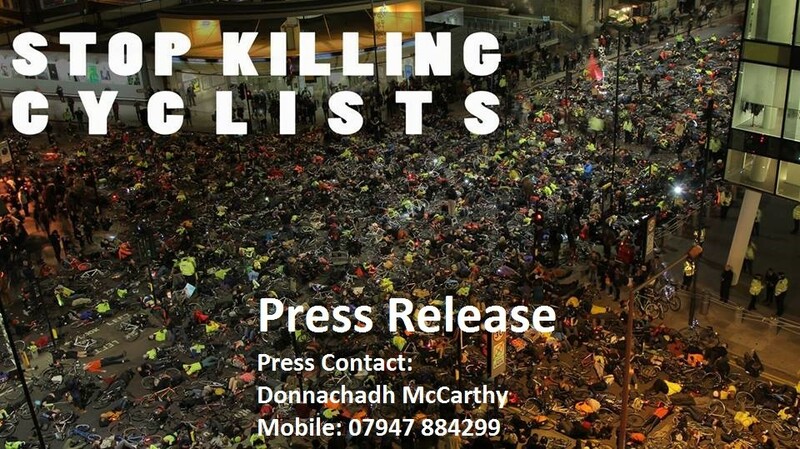 Stop Killing Cyclists are today calling on the Mayor of London and all the Mayoral candidates to create a central London network of zero-emission Pedicab stands. In response to recently announced proposals from the Mayor of London, supported by the London Taxi Drivers Association, to crack down on London’s small Pedicab services, Stop Killing Cyclists members have unanimously endorsed a call for the Mayor to stop this unjustified persecution of London’s Pedicabs and to instead promote these zero-emission cabs. 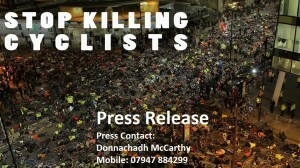 Stop Killing Cyclists cofounder Donnachadh McCarthy said: “With 9,500 Londoners killed last year by fossil-fuel transport pollution and with up to 2,000 of these deaths caused by diesel-powered cabs, the Mayor should be supporting these pedicabs whose zero emissions are saving Londoners lives in central London. Editor’s notes: 1. There are only about 650 pedicabs operating in London, down from about 1,000 in 2010 due to constant harassment by the Mayor and Metropolitan Police. In contrast, there has been an uncontrolled explosion in the number of London’s vehicular taxis to over 100,000, with more than one in ten vehicles now entering the congestion charge zone being polluting taxis. This is largely due to the unregulated arrival of Uber. By being zero emissions pedicabs are actually saving lives when used as an alternative by customers to fossil-fuel powered cabs. 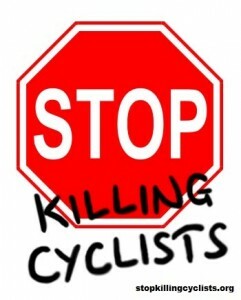 Stop Killing Cyclists support light-touch low-cost pedicab regulation to ensure numbered vehicles can easily be identified, so that any customer grievances can be easily tackled. 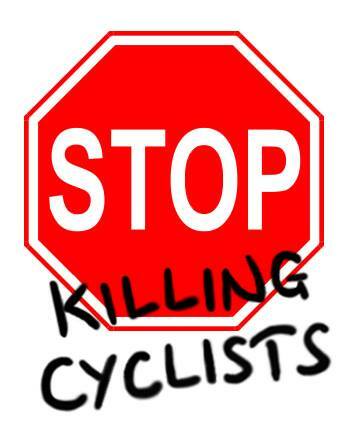 Stop Killing Cyclists call for the creation of legal pedicab stands across central London and at train stations. Finally, we want the Mayor to draw up an official London Pedicab Support Policy in conjunction with representatives of the Pedicab cyclists. 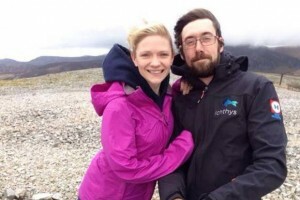 The industry in London is represented by the London Pedicab Operators Association (LPOA). Whilst police surveys show over 30% of trucks in London are being driven in an illegal manner and almost every cyclist killing has been by a truck, the Metropolitan Police have targeted their efforts on the positive pedicabs, with the LPOA reporting a truly shockingly discriminatory 350 arrests in 2013/14 for stopping by the pavement and other minor-misdemeanours, which only black-cabs are allowed to do. That is a rate equivalent of nearly 50% of all pedicab drivers. Not a single arrest resulted in a successful prosecution, thus resulting in a terrible waste of public resources cracking down on the life-savers. 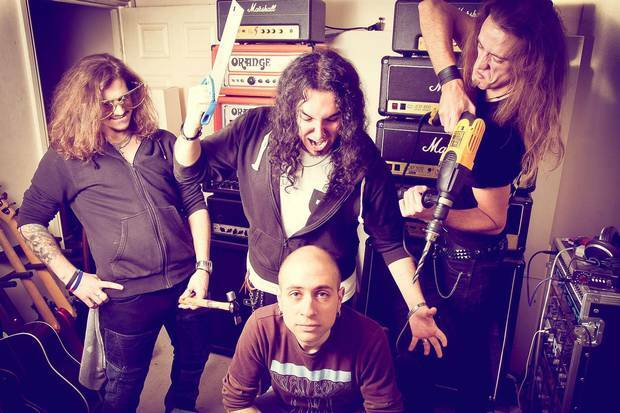 Akis Kollaros (bottom centre), a music producer, shown here with the Monument band, was killed on Homerton High Street on Monday 2 February 2015. 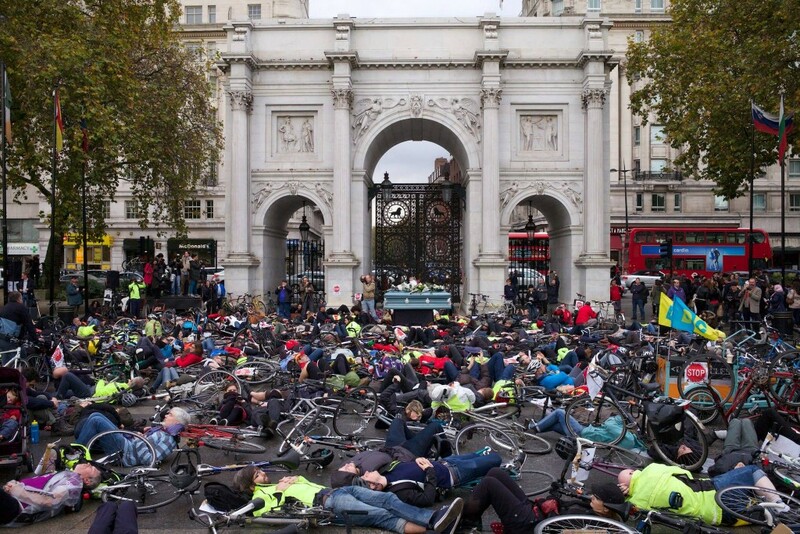 For the second time in less than a month, London’s cyclists will gather to commemorate the tragic and untimely death of one of their own in a vigil and die-in organized by the direct action protest group Stop Killing Cyclists. 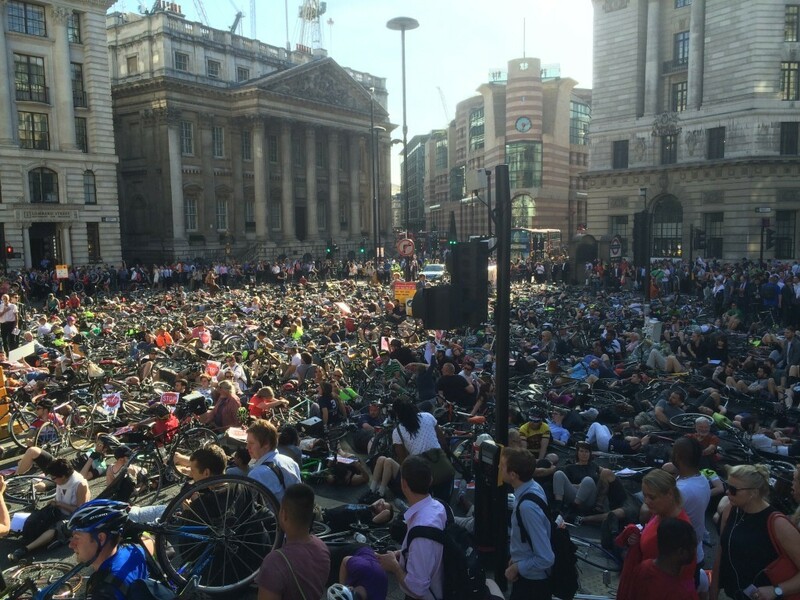 On Monday, 9 February 2015 at 6pm (for 6:30pm) at Homerton High Street, near the Fire Station at Wardle Street, London E9, hundreds will ride rode in memory of Akis Kollaros who was crushed under the wheels of a tipper truck a week before. Akis, a music producer, was the 14th cyclist to be killed in the UK in 2015, and the second in London. UPDATE – follow-up from event: CLICK HERE. Details, including map: CLICK HERE. 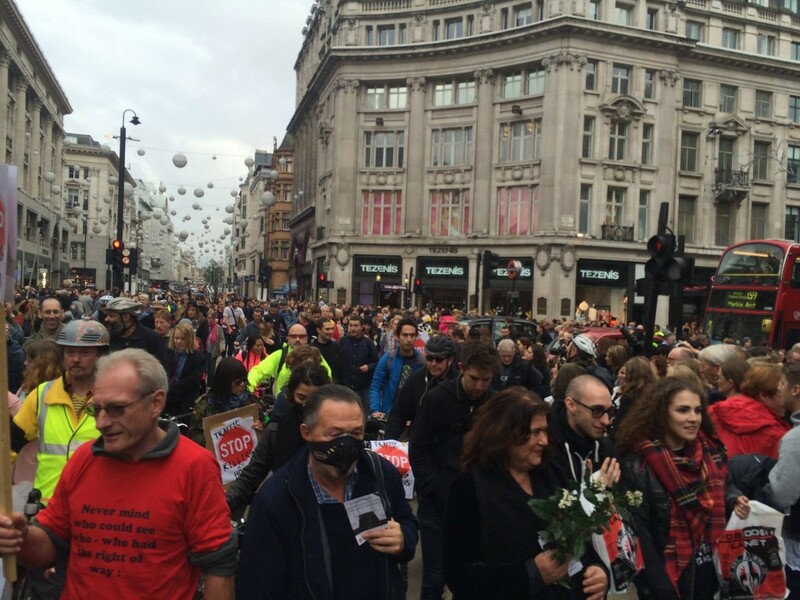 On Saturday, 15th November 2014, Oxford Circus in central London was brought to a silent, still moment of remembrance of those who have been killed, or are living with terrible maimings or illnesses, due to our brutal car culture. 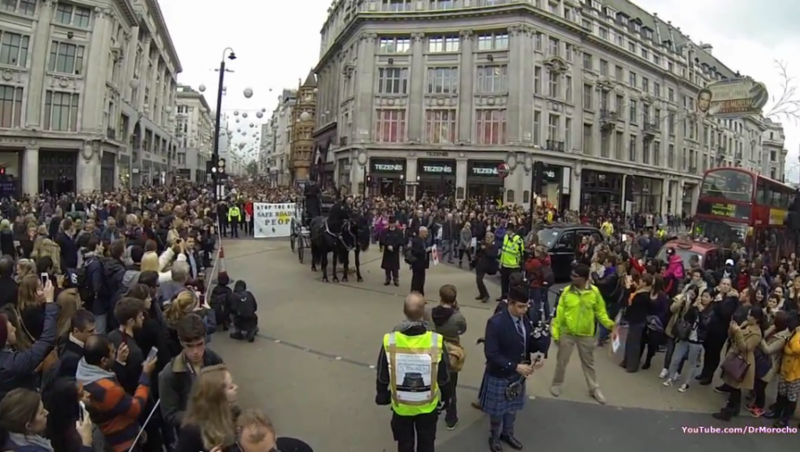 The protest continued along Oxford Street to Marble Arch for a “die-in” and rally. The National Funeral for the Unknown Victim of Traffic Violence protest was organised by the Stop The Killing coalition, which includes Stop Killing Cyclists. 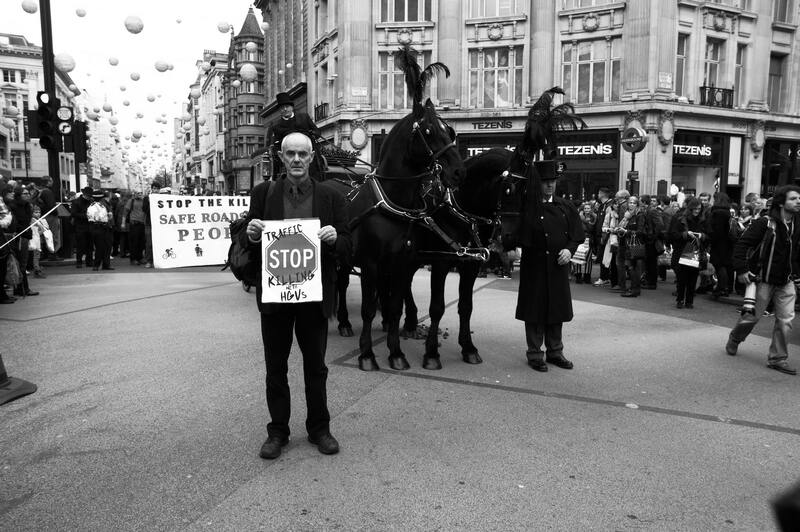 Further details, video, media reports and photos are on our website: Stop The Killing.